Popular for builders & developers, letting clients know what is available or coming soon. We recommend a material called 1/2" MDO (Plywood). This material holds up well in the weather looks great with a set of wood posts. Most common size is 4' x 8' we also offer custom sizes! 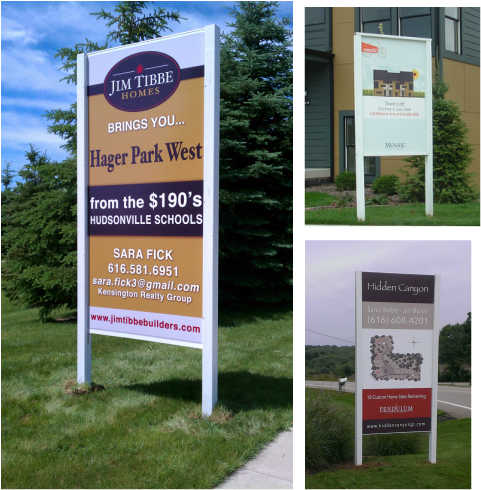 Site signs are a great way to let the public know what is coming to a site near them and what contractor is handling the construction.